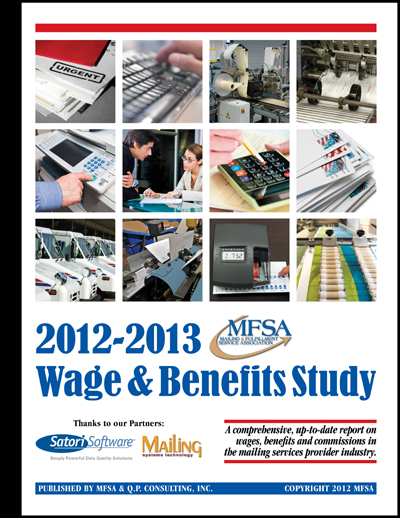 This valuable, just-released 100+ page study contains detailed salary and wage information for 31 key positions in the mailing industry, including compensation practices for outside sales representatives - how much do they typically sell and how are the compensated. Wage and salary data (including both averages and medians) is also broken down based upon Market Size, Sales Volume and Profitability. Look up companies similar to your own and see what they are paying Mailing Department Specialists, Data Base Experts, Production Managers, Inserting Machine Operators, Handwork Specialists and dozens of other key positions.